Well it’s officially back to school and no matter how old I get I will always be a fan of school supplies. 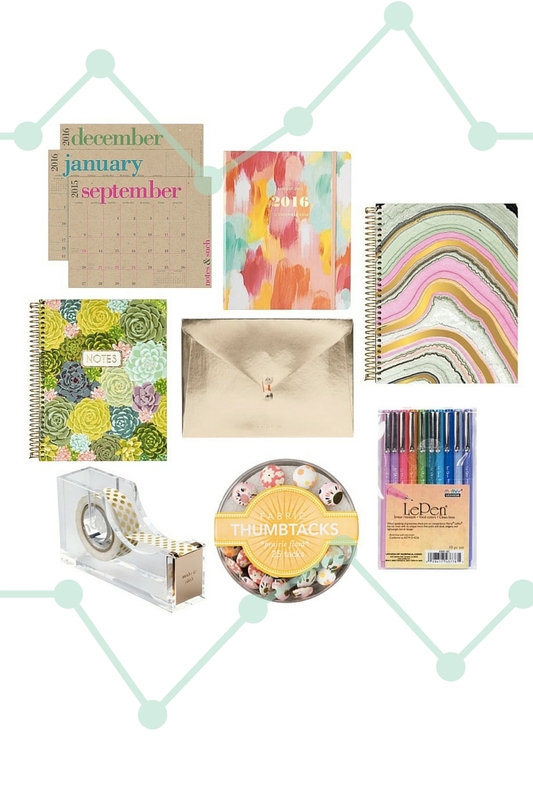 New pens, notebooks, calendars… you name it, I can’t resist. Anyone who knows me well knows that you can always find an assortment of markers, pens and multiple calendars on my desk at any given time. My favorite supplies come from Paper Source. We don’t have a store here in New Orleans but whenever I am in a city with one it’s a must stop on my list. Perfectly merchandised office supplies and trinkets are my little slice of happy! And it stays that way no matter ones age. I still love to make a trip to the big box office stores to see what they get in during back to school. And it comes in and goes. Not always a staple on their counters – that is what makes it a “Must go check it out”!